What I have enjoyed most about these sessions was spending precious time with my granddaughter. I felt we were a special team. 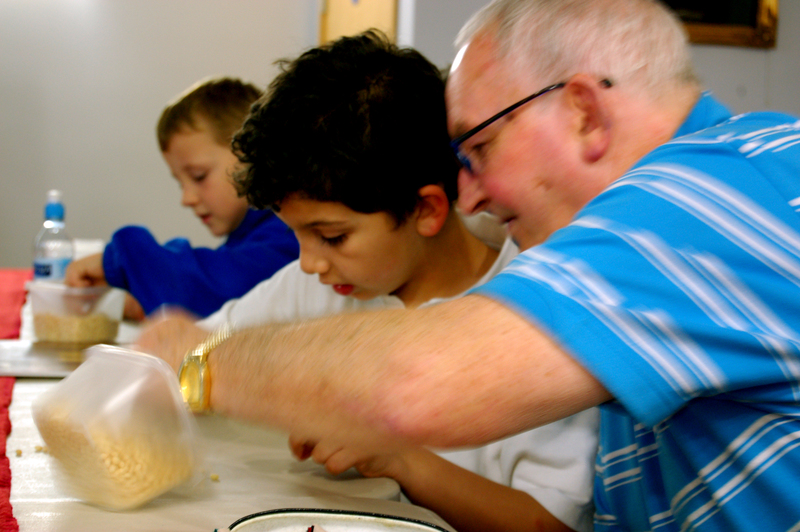 This was Magic Me’s first project working with grandparents and their grandchildren. Many of the families that took part then went on to do the Grand Explorers projects with the V&A Museum of Childhood. In autumn 2009 families from St John the Divine CofE Primary School worked with Susan Langford, designer and Director of Magic Me and artist Jennifer Lewis to explore the collection of jewels and objects at The Tower of London, which is just two miles from the school. The children and grandparents visited the Tower to view the world-famous crowns, seals, rings and other precious objects, handed down from generation to generation within the Royal Family. 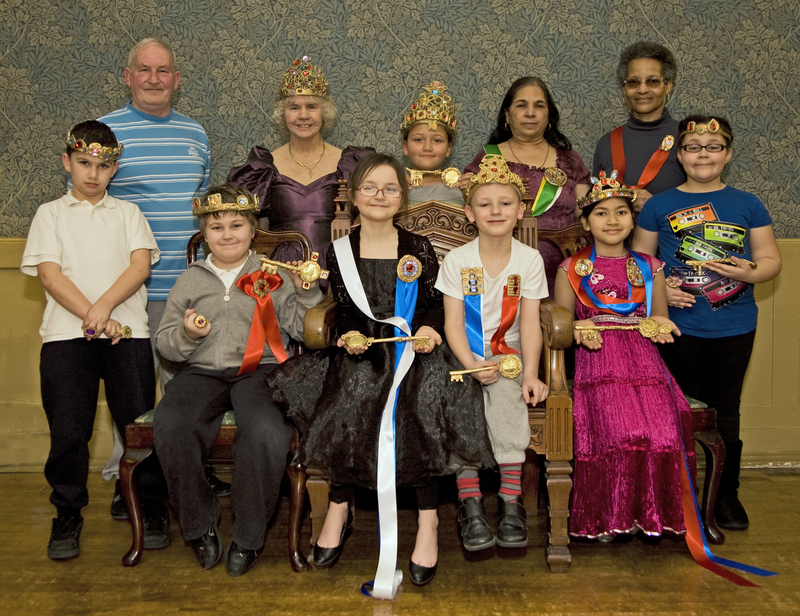 The families then went on to make their own heirlooms, including keys, jewels and crowns, drawing inspiration from their very mixed heritages. The project came to an end with a professional photoshoot, with Magic Me artist Marysia Lachowicz, where the families got to pose individually with their jewels. The project was part of the celebrations marking the installation of General Sir Richard Dannatt as the new Constable of the Tower, a role dating back to the 11th century.